Just like you need to work out to be strong and have your body in great shape, your brain needs exercise too in order to be creative! Brainstorm new ideas constantly, no matter how stupid they might seem to you. Take a paper and a pen and for 30 minutes each day write down every idea you can think of. Read a lot - books, articles, online etc. Also write, cause a vision is clear only when you can put it on a paper. Listen to music, that stimulates your mind and makes you more creative as well. Always be curiousity, take risks and try new things. It doesn't matter if it scares you or you don't know how to do it - you'll figure it out on the way and this tremendously helps you find your creative side! If the place your at doesn't help your creative flow, then go to a different place! Go outside, be social, overcome any fear you might have and you'll see how much more creative you become. Taking the time off to relax and fule your body and mind with evergy is just as important as exercising. A good way to do that is to meditate, which helps you clear your mind and open yourself up to creativity. Do you consider yourselves creative persons? 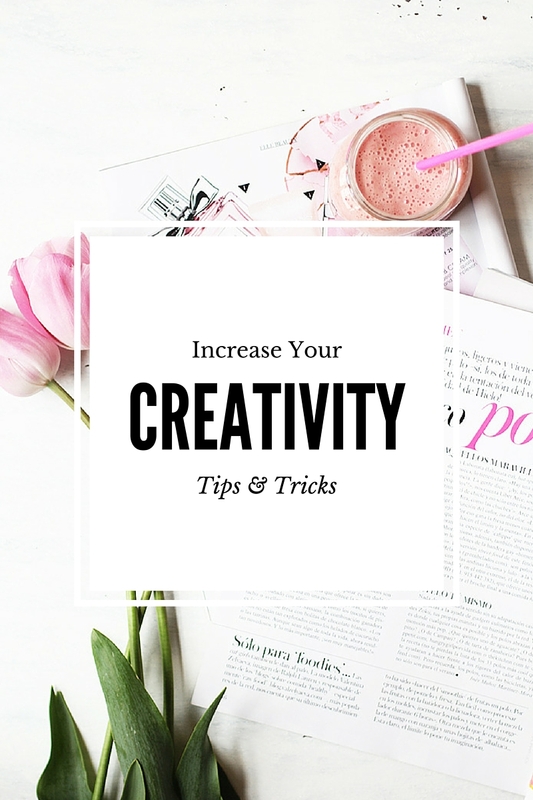 How do you increase your creativity?